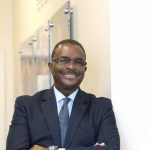 Not long into my first in-depth conversation with Curtis Stitt, I realized that I was in the company of an uncommonly thoughtful CEO who was a deeply serious, passionate student of board and chief executive leadership. And I knew that I’d lucked out in having the opportunity to work closely with Curtis on the governance front before his upcoming retirement as President & CEO of the Central Ohio Transit Authority (COTA), which serves over 1.2 million residents in the Greater Columbus, Ohio region. Having closely observed Curtis in action over the past few months, I was delighted when he agreed to share what he’d learned at the helm of COTA in the podcast we recorded for this blog. Curtis’ tenure as COTA’s chief executive officer has been transformative, laying the foundation for significant growth in the years to come. Major innovation initiatives that have been successfully launched on his watch include a downtown circulator, an airport shuttle, and a comprehensive redesign of COTA’s entire bus network. And renewal of COTA’s ten-year operating levy in November 2016 by an astounding 72-plus percent is indicative of the esteem in which Central Ohio voters hold COTA. When you listen to Curtis’ podcast, you’ll learn that, like many CEOs I’ve worked with over the past 25 years, Curtis didn’t early in – or even at the midpoint of – his career methodically map out a strategy to become a chief executive down the pike in his professional journey. Rather, he earned his spurs in in a succession of demanding executive positions, including serving as COTA’s Senior Vice President and Chief Operating Officer and Vice President of Legal and Governmental Affairs/Legal Counsel. And he was extremely fortunate to have the late Bill Lhota, his highly respected predecessor as COTA CEO, as his mentor and supporter. When the opportunity to take the helm at COTA presented itself, Curtis was ready to capitalize on it. During our podcast recording session, I was interested to learn that Curtis, along with the great majority of CEOs I’ve observed and worked with over the years, had not – in fact, could not possibly have – thoroughly mastered all of the complex functions of CEOship on his way up the professional ladder. He had a tremendous amount of on-the-job learning to do in a short period of time, especially in the area of governance and board-CEO relations. 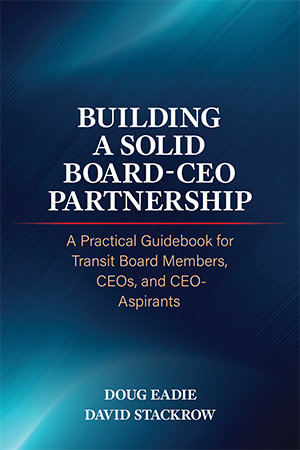 As you’ll learn, Curtis, like many other CEOs, has struggled to strike the right balance between, on the one hand, keeping the COTA Board of Trustees fully informed on the authority’s operational issues and operating performance, while on the other hand, raising the Board’s sights well above operational nuts and bolts and keeping it focused on the strategic and policy-level questions that are the gold standard of high-impact governing. In addition to being a thoughtful CEO with a strong appetite for continuous professional growth, Curtis has brought tremendous passion to his work. He cares – deeply – about the welfare of all residents in the Central Ohio region, which, combined with his technical mastery of CEO functions, has made him a uniquely influential leader with many valuable lessons to teach, as you’ll learn from this podcast.